The flight on board the Martinair 767-300ER to Calgary was uneventful; for my travel in the area I had opted for a combination of standby tickets and e-tickets booked through the internet (my plans had started very ambitious, which I had to scale down a bit for budget reasons and time available). Standby for Calgary to Seattle on Horizon Air did not work out due unavailability of open seats; so after 4 hours waiting with disappointing result, we bought tickets with Westjet for Vancouver and rented a car to drive to Seattle the next day. We flew to Anchorage and more can be read on my ALASKA 2006 report. On June 20th we flew Ketchikan to Seattle and onward with flight AS2174 (Horizon Air), deHavilland Canada DHC-8 N365PH to Vancouver IAP,BC. My first act, after having collected my 3rd rental car (from Alamo) this trip, was to drive to the Aviation World -shop (on the way to the South Terminal) and collect Larry Milberry's 2 volumes on Air Transport in Canada (CANAV books) they had been saving for me! C-GKFG is a Convair CV580 (c/n 22), a converted CV340/440. 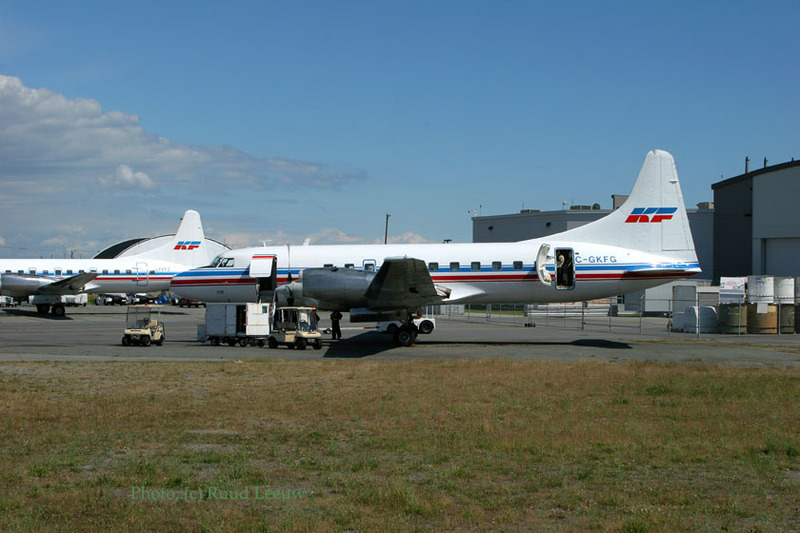 It was built in 1952 and operated with Continental Airlines (N90852), North Central Airlines (N90852), Republic Airlines (N90852), Tigerair Inc (reregistered N32KA in 1981), Key Airlnes (N32KA), Air Florida Commuter (N32KA), Westates (N32KA, Richmor Aviation trading as Sundance Air (N32KA), Transworld Express (N32KA) and Westates Airlines (N32KA). It was sighted at Kelowna,BC in June 1995 in Gray Lines colours. In Apr97 it was registered to Int'l Trading Company (Yukon) and on 01May97 it was registered as C-GKFG for Kelowna Flightcraft Air Charter. C-FKFZ is Convair CV580 c/n 151. This one was delivered to Pan American as N11151 on 18Feb54. Later that year it went to National Airlines and in 1960 to Lockheed Aircraft Corp and onward to Allegheny Airlines; it was converted to CV440 and CV580, being reregistered as N5823 on 18Apr67. It operated for Aspen Airways (03Aug76-), Air New England (lease, periods in 1978, 1979 1980); it may have been operated by Cosmopolitan Airlines, not sure. C-FKFZ was assigned for Kelowna Flight Charter on 06Feb92, leased to Trans Provincial in 1992 and since March 1993 with Kelowna Flightcraft again. 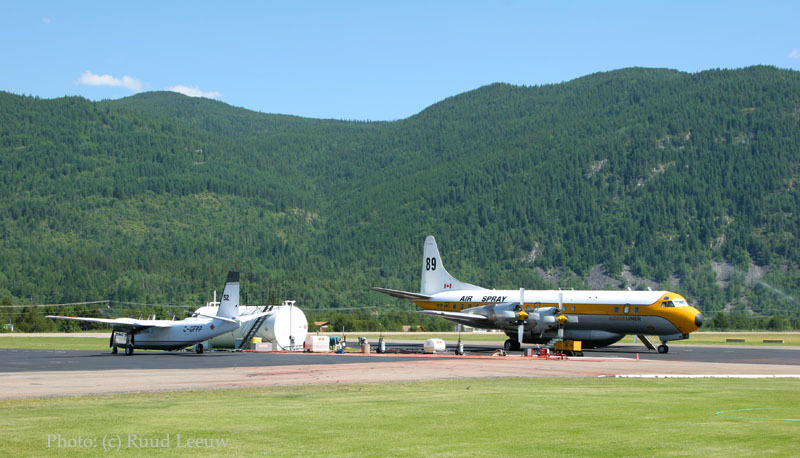 The Type Certificate of the Convair (short for: Consolidated-Vultee Aircraft) series is held by Kelowna Flightcraft of Canada these days and they have done wonderful things with it: they developed the stretched CV5800 and the airtanker CV580, a success in present aerial firefighting equipment. Kelowna Flightcraft acquired the Type Certificate from Tracor Flight Systems in 1997. 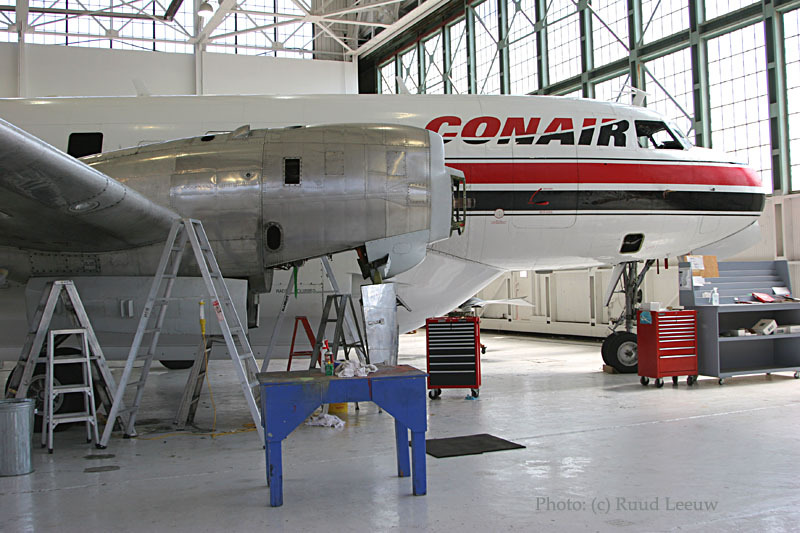 Tracor had acquired all the Convair TCs including the 880/990 from GD. Driving around Vancouver Int'l Airport I found a spot I could take a photo of N582P, which just finished unloading. 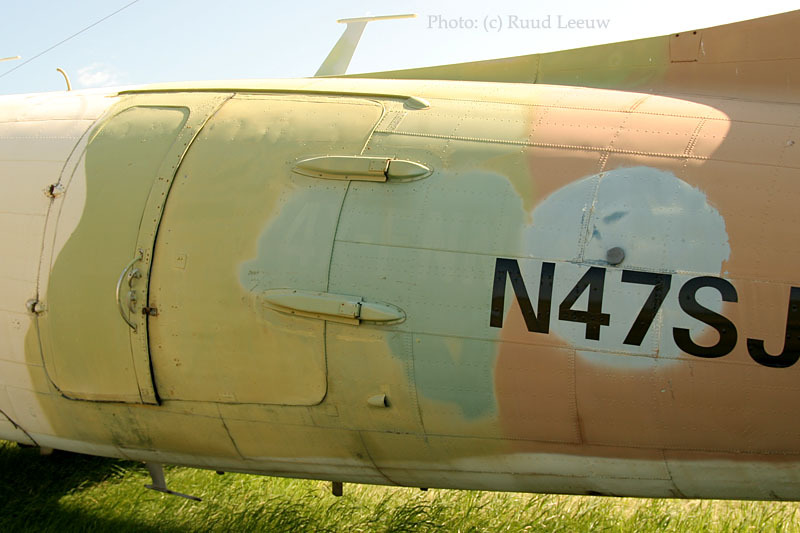 C/n 475 was manufactured in 1957 and registered to General Dynamics Corporation as N8473H. Canadair had it delivered as CF-LMN on 13Feb59; it was converted to CV540 (CL-66C) and operated for the Royal Canadian Air Force as 11161 from 24Apr62. Struck of charge on 01Sep66 it became available for a civilian career again and was subsequently registered as N969N for General Motors Corp (23Aug66). It was converted to type CV580. In 1967 it went to North Central Airlines, to Republic Airlines in 1979 and to Northwest Airlines in 1986. It was bought by Super 580 Aircraft Co. (Carlsbad,CA) on 07Oct88 and found its way to Air Resorts Airlines (of Carlsbad,CA too); in 1991 it was stored at Carlsbad. Cool Air Inc acted as receiver and so R&& Holding registered ownership on 01Feb96; it may have again operated (for Renown Aviation) that year. Funny thing is when I checked the FAA online database I found N582P's status "registered N582P 19Nov95 to N582P Inc, Undeliverable triennial"... suggesting the operator's adress is invalid. But here it is, firmly in use! My records show it is in use with Air Tahoma and 'N582P Inc' is a construction within Air Tahoma. Update on N582P (Feb.2017): ATDB.aero online database has it as 'stored at LCK'. And I have that one in my database as 'at Columbus-LCK 28Sep2007 minus tail'. But they fixed that (probably before Air Tahoma ceased in 2009? 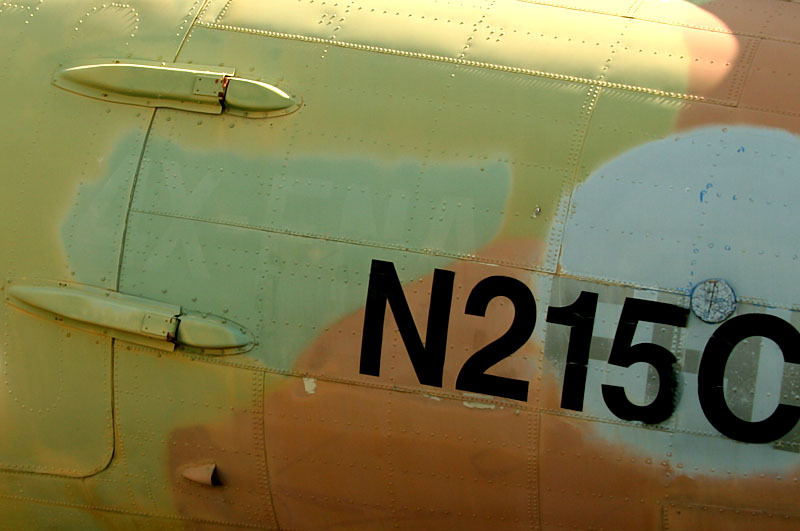 ), as I have here on Ken Swartz' gallery a 2016 image of N592P while stored at Rickenbacker-LCK Airport. 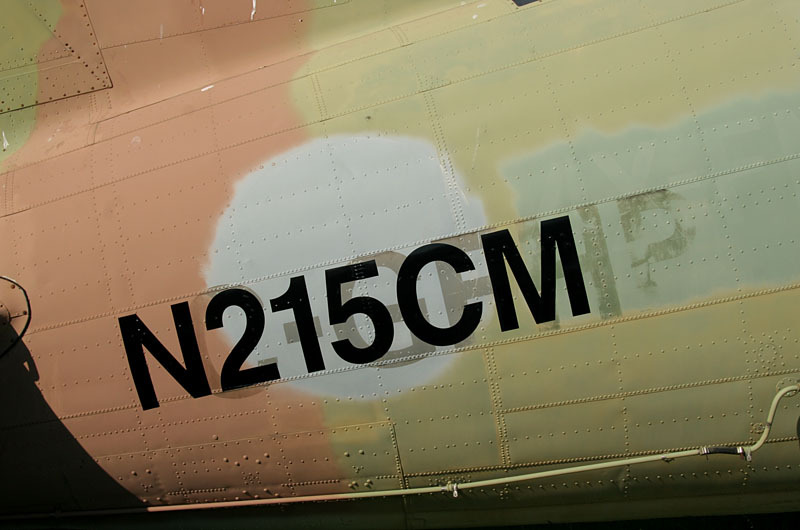 A Grumman Tracker, no doubt "struck off charge" from the military but it still shows '148' as identification. You can see the BCIT logo on the hangar door in the background." Karl: "About the Tracker 148 at Vancouver, there is (or certainly was) quite a large school for aviation mechanics at the Vancouver International Airport. I don't know if it is still active there, but it was one of their instructional airframes on which the student mechanics learned their trade. It was called the Pacific Vocational Institute or something like that. In years past, they also had an ex Air Canada Viscount and a Jetstar. At one stage they also had an ex canadian military Otter, until it was made flyable again and sold." deHavilland DHC02 Beaver C-FGQZ in take off. This smart DHC-2 Beaver is c/n 118 and was first delivered on 30Apr51 as CF-GQZ for McNamara Construction Co Ltd.
Alkan-Air Ltd. of Whitehorse,YT became the next owner, reportedly in service during 1979. Some dark fate befell this Beaver as it was noted as a wreck at Vancouver,BC. on 17Jan81, ex Alkan-Air, but I have no details on what may have caused this. Pacific Aircraft Salvage Inc. (Vancouver,BC) took good care of it and saw registration after full restoration on 18Jan91 for Gateway Aviation (Richmond,BC). 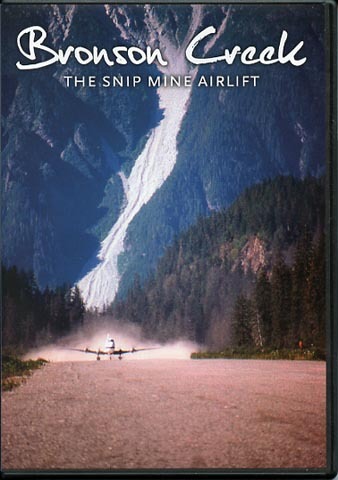 C-FGQZ became assigned on 25Sep91 to Port Sidney Aviation Corp. And on 17Nov95 it was registered to Inland Air Charters Ltd. of Prince Rupert,BC (but found itself based at Seal Cove,BC). On 17Nov95 registration was altered for a lease to Waglisla Air Inc. of Bella Bella,BC until 21May96. Somewhere along the line the proud Beaver was named "Haida Princess". 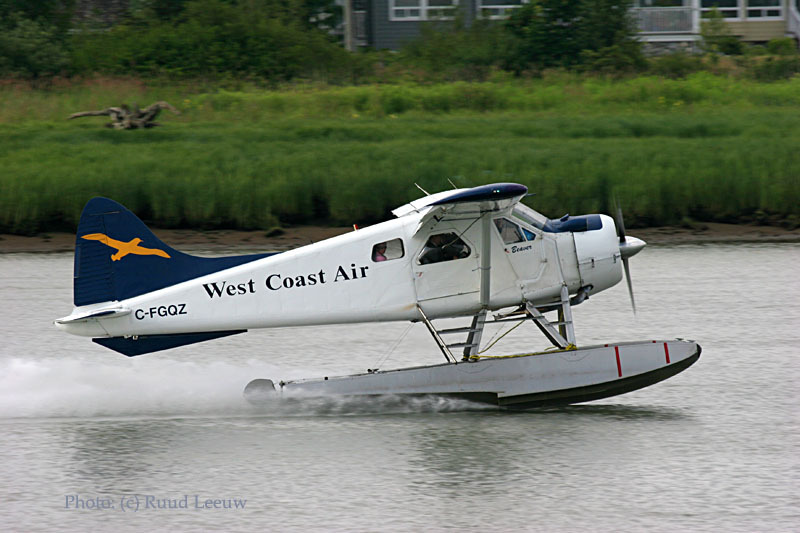 West Coast Air (Vancouver,BC) took ownership on 01Jun99. Vancouver City made me decide to cut it short; I stayed less than 30 minutes.. Next time! This place I had trouble finding; even had to buy a more detailed map at a gasstation. 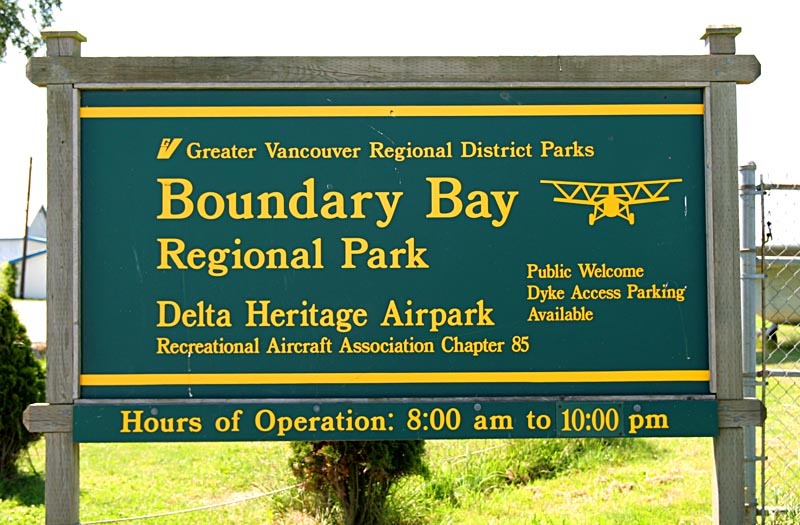 This residential air park was set up in 1995 in reply to the Greater Vancouver Regional Council's plans to close the airfield and transform it into a municipal park. We had hoped to buy lunch here, but the airfield was smaller than I had thought and although a shack housed a sort of coffeeshop, we found it unattended. I found little evidence of this; a few single props were parked, but nothing much else and no one around. However, my actual reason for visiting was to see this vintage Lockheed L.18-08 Lodestar CF-TCY (18-2064) on display and it was a brilliant day, so no worries! school at Abbotsford Airport. See Ken's gallery on my website. "In its earliest days in the late 1930s, the twin-engine Lockheed Lodestar represented state-of-the-art aviation -- and made headlines on a number of fronts. Millionaire aviator Howard Hughes used it to set an around-the-world flying record of three days, 19 hours in the summer of 1938. Soon after, it figured prominently in newsreels of British prime minister Neville Chamberlain flying home from Germany to announce his "peace in our time" agreement with Hitler. 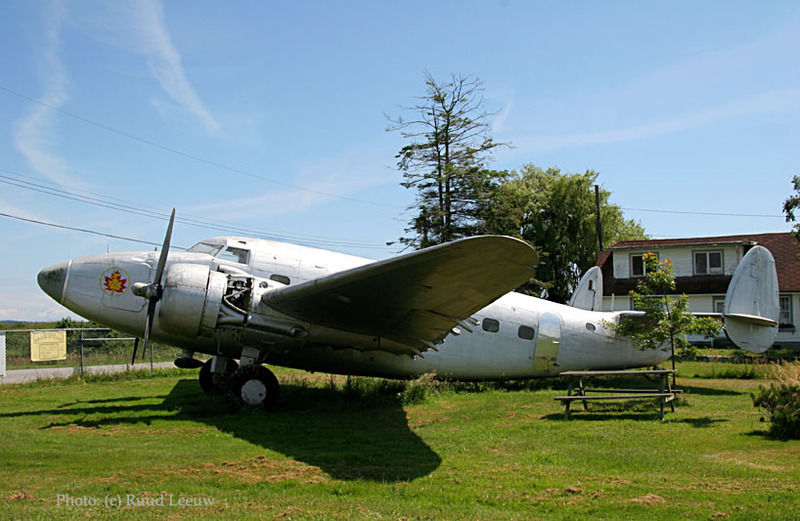 This 14-passenger, transcontinental "airliner" was also the flagship of Trans-Canada Airlines' fleet between 1941 and 1947. 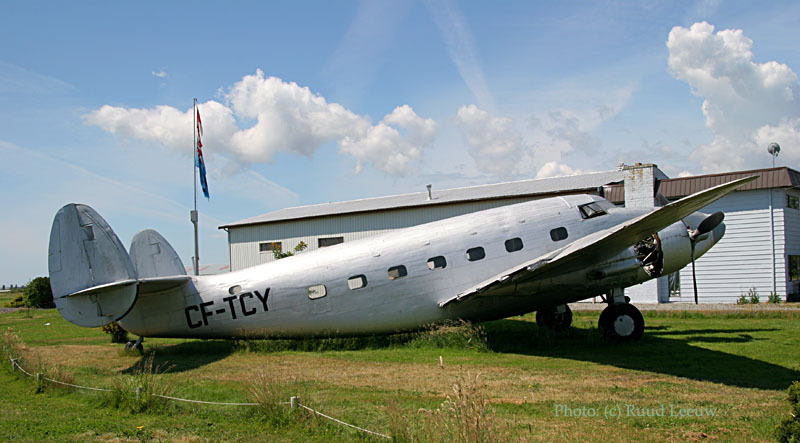 Today, very few of these magnificent flying machines remain, but one of them -- CF-TCY -- has been sitting for over a decade in Delta's Heritage Air Park at the foot of 104th Street beside Boundary Bay. 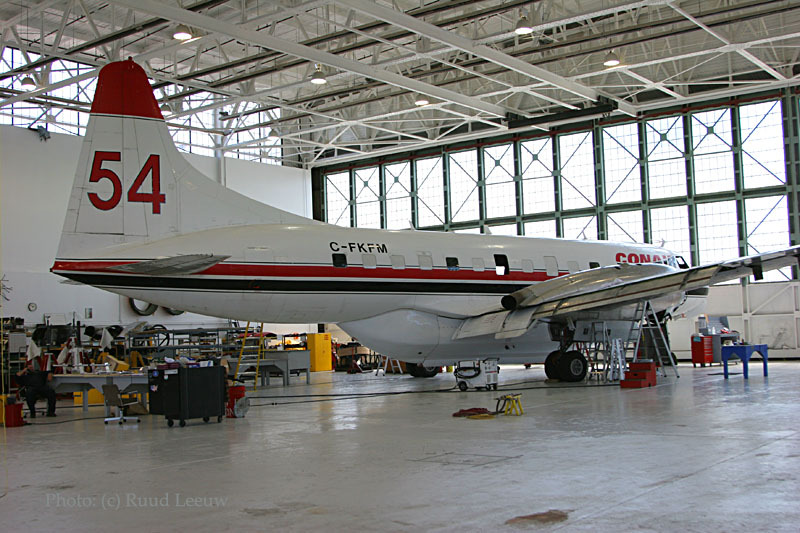 This particular aircraft was part of TCA's fleet and was once Canada's version of Air Force One in the U.S. when it served as the official carrier of Prime Minister Louis St. Laurent, other dignitaries and visiting heads of state in the early 1950s. However, this historic aircraft, which is owned by the Langley-based Canadian Museum of Flight, won't be at the Heritage Air Park much longer. It's getting a much-needed cosmetic overhaul, thanks primarily to the University College of the Fraser Valley's aircraft structures technician program, which runs out of the UCFV's Aerospace Centre at Abbotsford International Airport. The museum is currently working on the logistics of moving the Lodestar from Delta to Abbotsford. 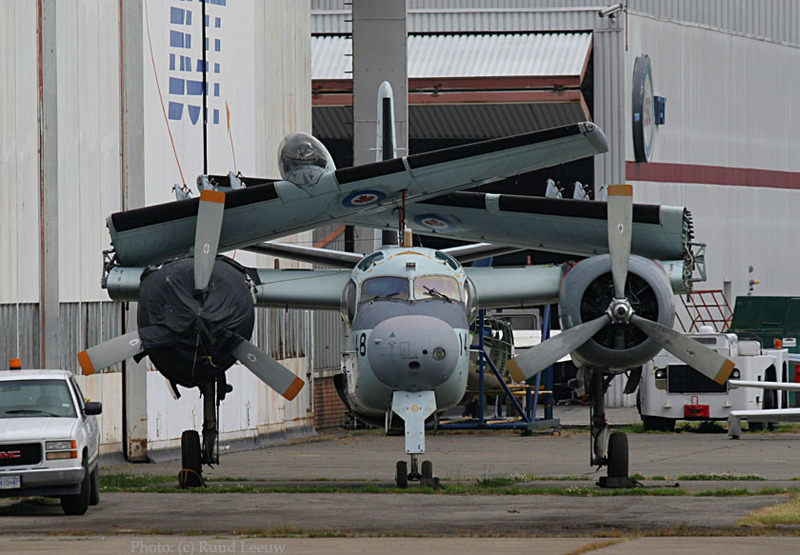 Since its flying days are long past, the Lodestar's wings may have to be removed, given its 13-metre wingspan. 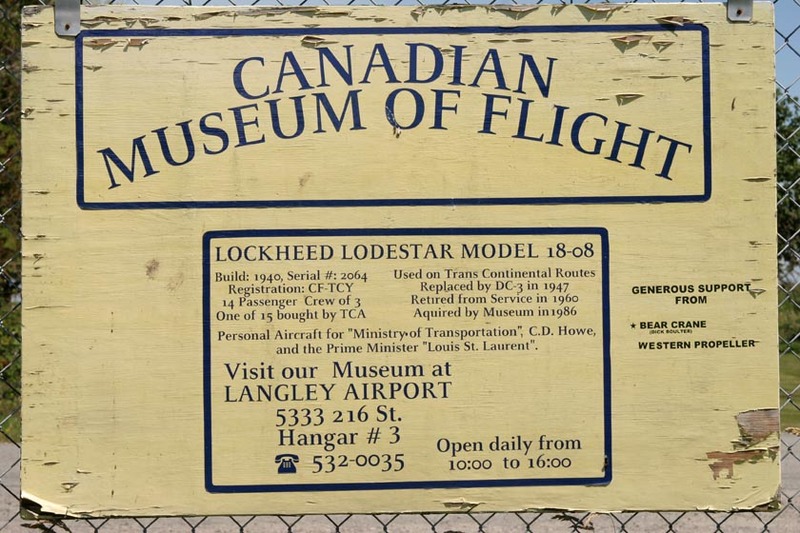 When the Illinois museum closed in the late 1980s, the Lodestar was sold to the Canadian Museum of Flight, which at that time was located at Crescent Beach. 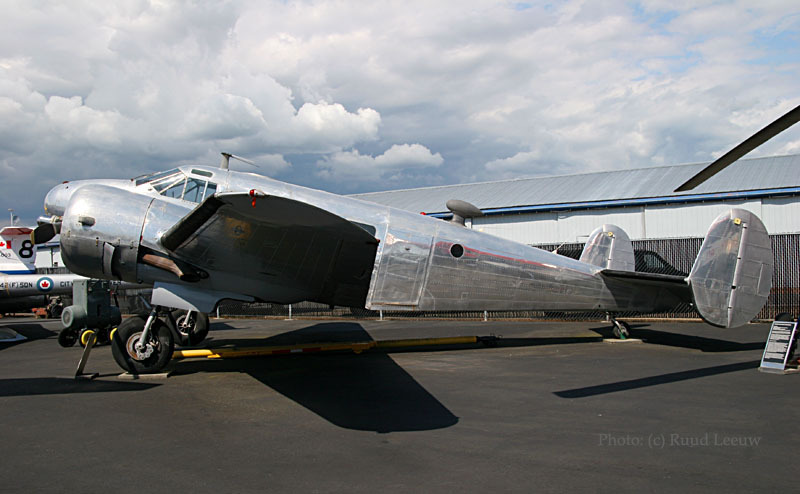 Once the work is done, the Lodestar will be placed on permanent display at the Canadian Museum of Flight in Langley." 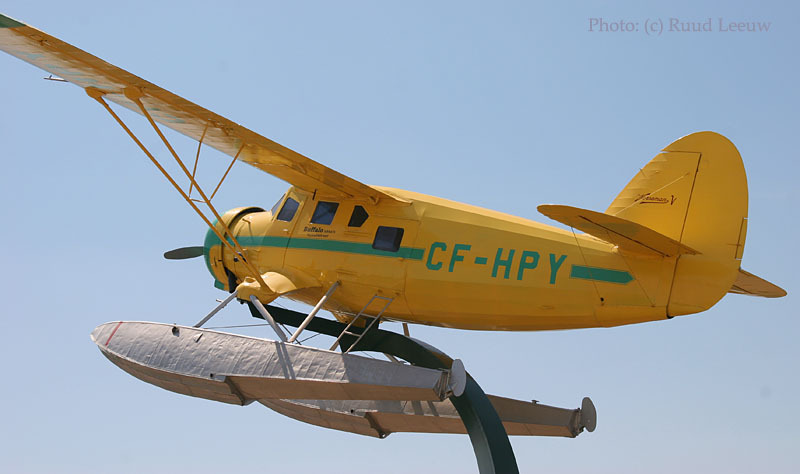 CF-CKT served with RCAF 401 (Aux) Sqn (Montreal), 403 (Aux) Sqn (Calgary), plus RCAF Stations Rivers, Portage la Prairie and Summerside, and sold surplus in the 1960's. This DC-3 was manufactured on February 24th, 1940 for American Airlines as 'Flagship Texas'. 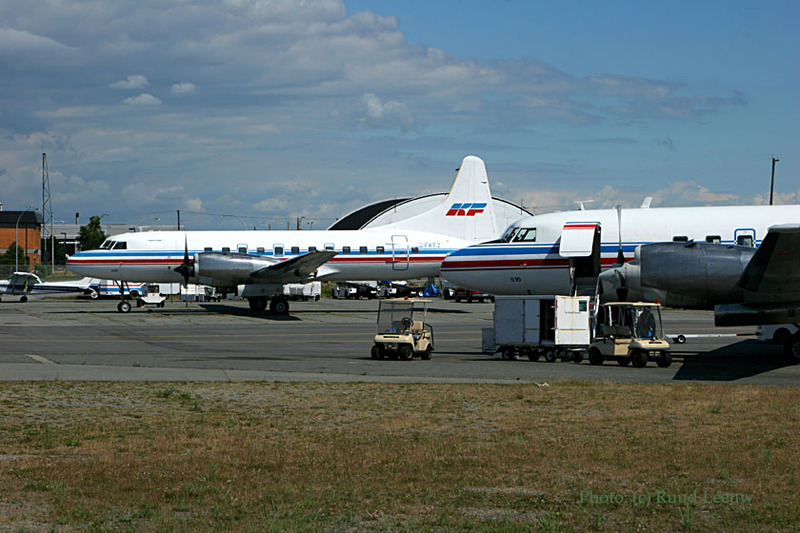 Since that date she also served in the USAF, under the colours of Trans Alaska Airlines, Queen Charlotte Airlines, Pacific Western Airlines, Great Northern Airways and Trans Provincial Airlines. In 1972 her "flying career" ended when Trans Provincial utilized her as a "spare" parts ship for other DC-3's in their fleet. After removal of all serviceable parts, CF-PWH was pushed into the bush adjacent to the Terrace, B.C. airport and abandoned as "derelict". 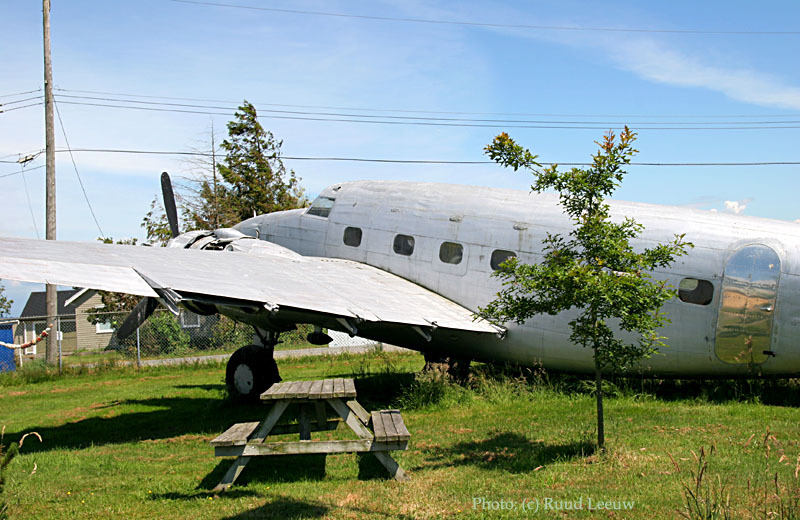 Thankfully, a founding member of the "Friends of the DC-3 - Canada" recognized her long contribution to the people of British Columbia and through last minute negotiations with the scrap man, was able to purchase her remains for future restoration. 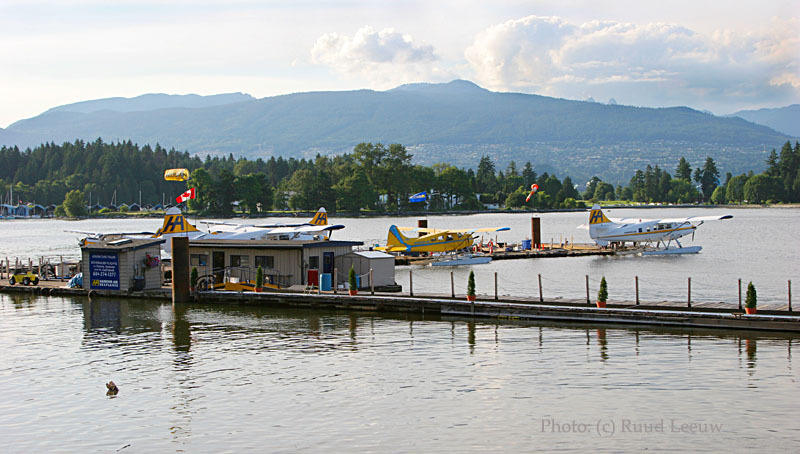 In 1987, CF-PWH was moved from Terrace to the then Transportation Museum in Cloverdale. 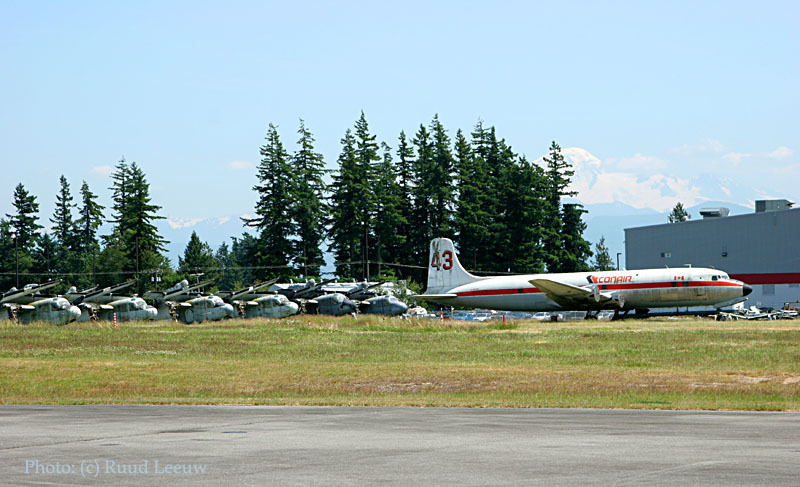 Upon the closure of this facility, the Township of Langley invited the Friends of the DC-3, North America to relocate at the Langley Municipal Airport. 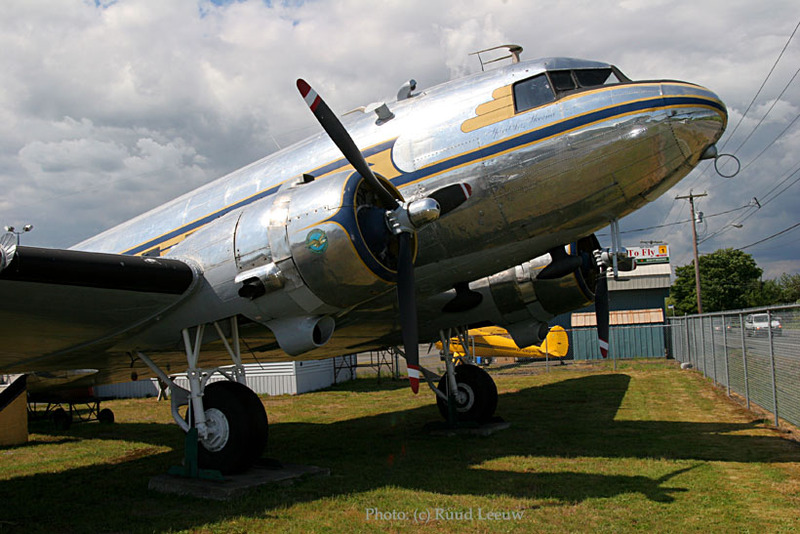 This Douglas DC-3 was, in fact, the first DC-3 to be owned and operated by a "home grown" B.C. airline, -- Queen Charlotte Airlines. She became Pacific Western Airlines first DC-3 and as such was assigned the fleet number of 301. 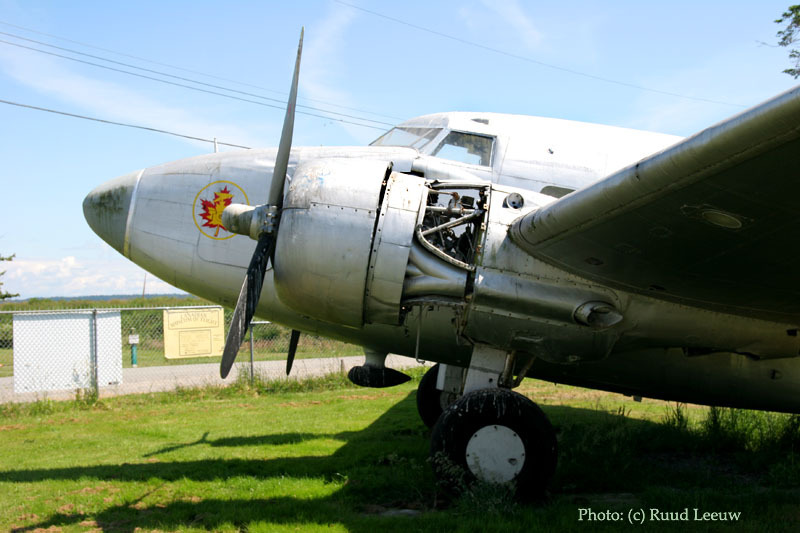 Today, CF-PWH is the oldest surviving DC-3 in Canada. Next stop: Conair at Abbotsford,BC. C/n 374 was first delivered as a CV440 to SABENA as OO-SCS on 14Nov56, where it served for many years. It returned to the USA for Frontier Airlines (N73166) upon its purchase on 04Mar68. It was converted to CV580 in 1978. Frontier Leaseco Inc became registered owner on 02May83. And Air Traffic Service Corp bought it on 16Dec83. Frontier Commuter leased it in 1984 and so did ITR Airlines. Sierra Pacific Airlines became the new owners on 25Mar85. Wings West (American Eagle) leased it in 1987 and so did Rocky Mountain Airways, in 1988. Express Airlines (NW Airlink) leased it in 1989 and Arizona Air in 1993. It was found stored at Avra Valley,AZ in May 1995. I found it as C-GEUZ at Kelowna,BC during Aug99 awaiting maintenance or reconfiguration by Kelowna Flightcraft. It was reregistered C-FHKF on 20Oct99 and converted to airtanker during 2000. 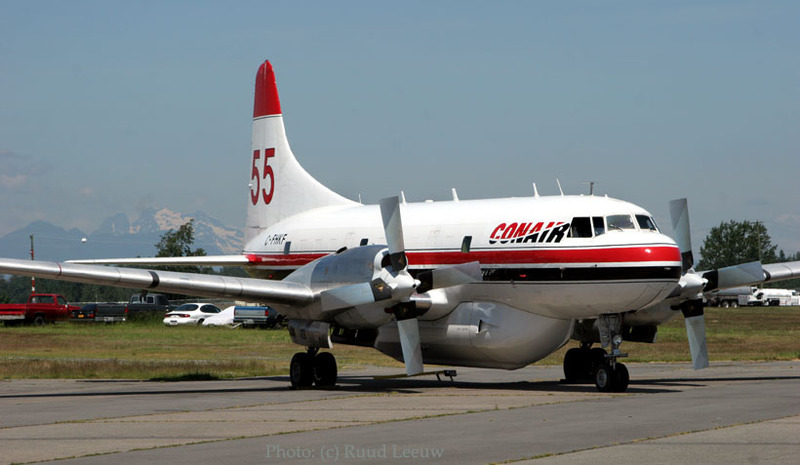 Conair bought it on 18Feb00, apparently at first decorated with airtanker number 455, later changed to 55. C-FKFM is Conair's Airtanker 54 and has c/n 70. Since I had been less sure of my itinerary at this stage of my travel, I had made no confrmed arrangement for a visit here; I was much relieved and very happy when someone did make time available to show me around! Thanks Dennis! T54 is obviously receiving a maintenance inspection in the spotless hangar of Conair. C/n 70 was produced in 1953 as a CV340 for United Airlines ("Seattle") with tailnumber N73133. Its aviation history traces its next owner to Tex Johnston Inc in 1968; that same year it was converted to CV580. 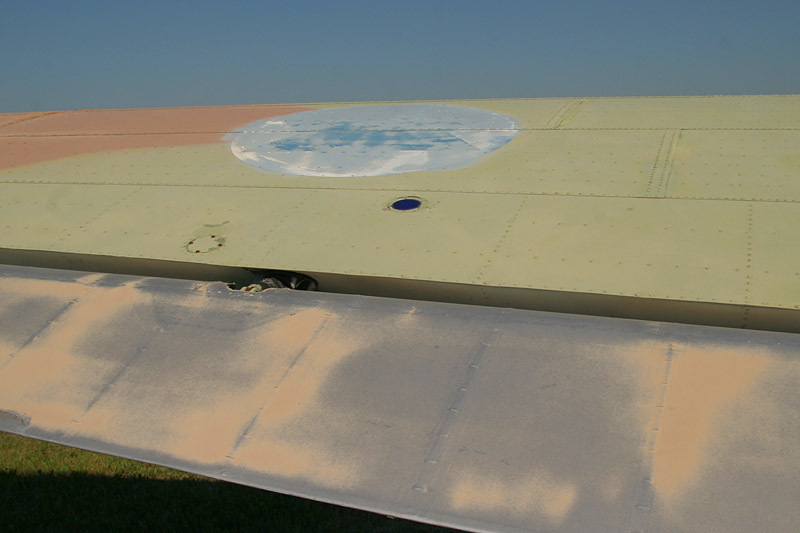 In 1969 it was registered to Aero Spacelines and stored at Marana,AZ. On 11Sep72 it was bought by Farmer's Union Travel Club of Denver,CO and Aspen Airways bought it on 11Oct75. On 16Jan92 it became C-FKFM for Kelowna Flightcraft (operating a short lease that year for Trans Provincial Airlines) and was reregistered to Kelowna Flightcraft Air Charter Ltd on 02May95. It was subsequently reconfigured to Airtanker and bought by Conair on 07Sep00. Information from The ConvairLiners Story, by J.M.Gradidge (Air-Britain, 1997) and my own records. 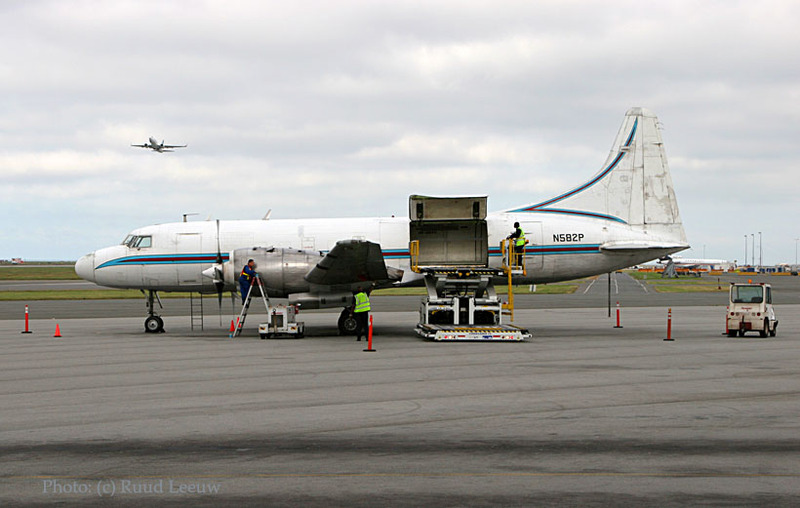 Trackers, except 1 Douglas DC-6. L.188C Electra (c/n 1006) while we were descending by winding road on Castlegar,BC (24Jun06). The small airport was fully deserted, even the terminal had its doors closed. C/n 1006 was manufactured in 1958 and was operated by General Motors (N5501V) as demonstrator and engine test bed; it was sold to the Los Angeles Dodgers (N1R, 22Nov61), traded with American Airlines (N1432, 17Dec70), sold to Intermountain Aviation (28Jan72, rereg'd N90700 01Mar72) of CIA fame if I am not mistaken, reregistered for Intermountain N1006T on 07Apr72, sold to Johnson Int'l (01Mar75), which merged into Evergreen Int'l (31Oct75) and subsequently sold to Air California in Mar77 (rereg'd N125AC 14Apr77; seen stored in 1979). It was bought by Mandala Airlines of Indonesia (1980's?) and registered PK-RLF. During 1995 it was ferried to Red Deer,Alberta for Air Spray who converted it to an airtanker and registered it C-FVFH (first on 19Jun95 but again on 08Nov00, probably after its tanker conversion). 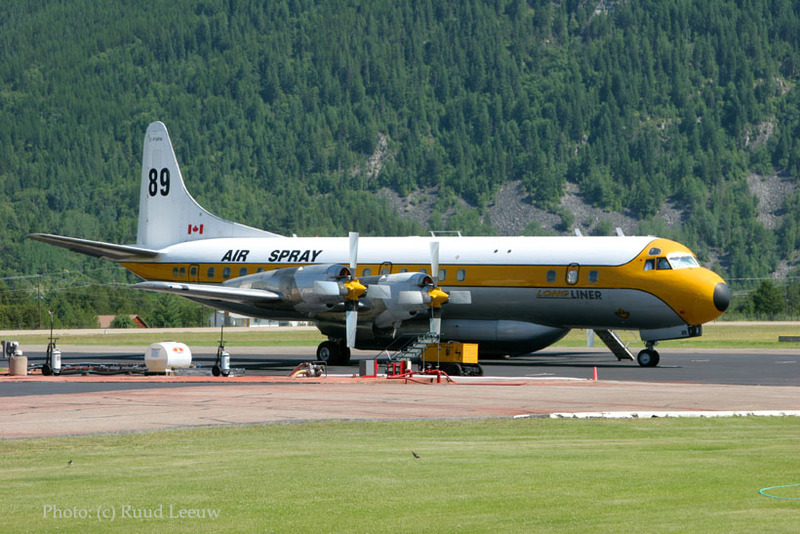 I came across Tanker 89 again on a visit to Air Spray at Red Deer on 24Sep07. As well as most of Air Spray's other aircraft. CF-BZI was the main interest which attracted me to visit this museum at Calgary Int'l Airport, but there is much of interest to explore in the Aero Space Museum. 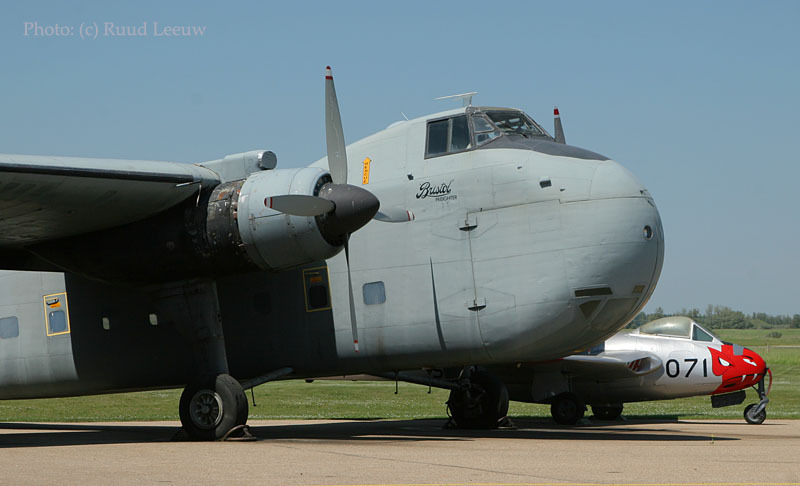 N4AX (c/n 1) has been stored here at Calgary IAP for a number of years now. I saw it stored at Calgary in Aug99 but it was stored showing tailnumber C-FNCI then. Las Vegas Aircraft Leasing bought it on 23jun00 from North Canada Corp (owners since Oct96) and rereg'd it N4AX. There is a special story to the Canadair CL-66B's: see my Saskatoon 2007 page. 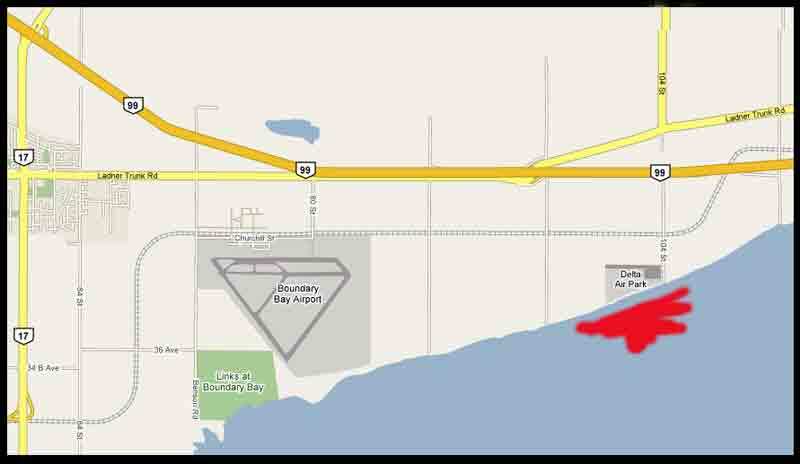 UPDATE: CL-66B N4AX (ex RCAF 11151) was issued special marks C-GULQ on behalf of Kelowna Flightcraft Ltd.
on 26 Nov 2012. The ferry flight was done on 11Dec2012. 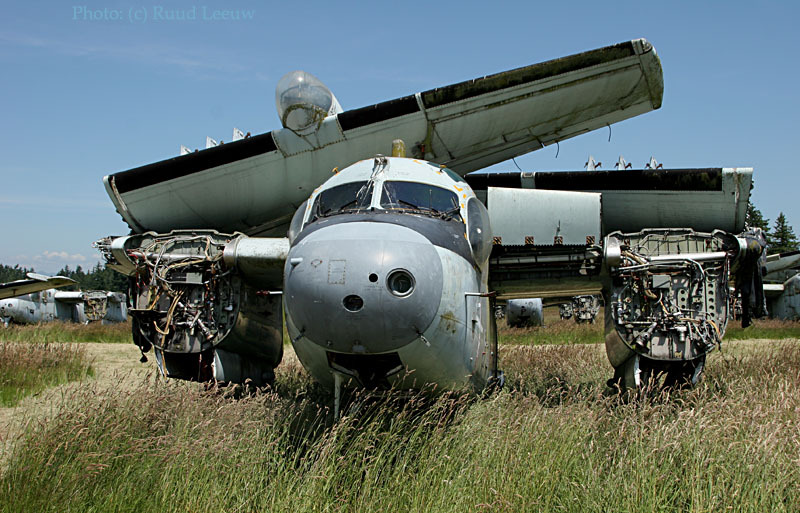 This magnificent A26B Invader is C-GHZM (c/n 27400); the props are removed, the engines well-wrapped and also the rudder has been removed (only showing the 5 of its former Airtanker number 58). C-GHZM 'Fire Eaters' was featured in the Richard Dreyfus motion picture "Always". This Invader was built during WW2 and its USAAF serial was 44-34121. In 1958 it was surplussed by the military and bought by Rock Island Oil & Refining Co. of Wichita,KS (1960-1969); its tailnumber was N4085E. It was converted to Rock Island Consort 26 configuration and in 1972 was bought by Koch Industries Inc of Wichita,KS. At some unspecified date it went to Idaho Falls for Reeder Flying Service. 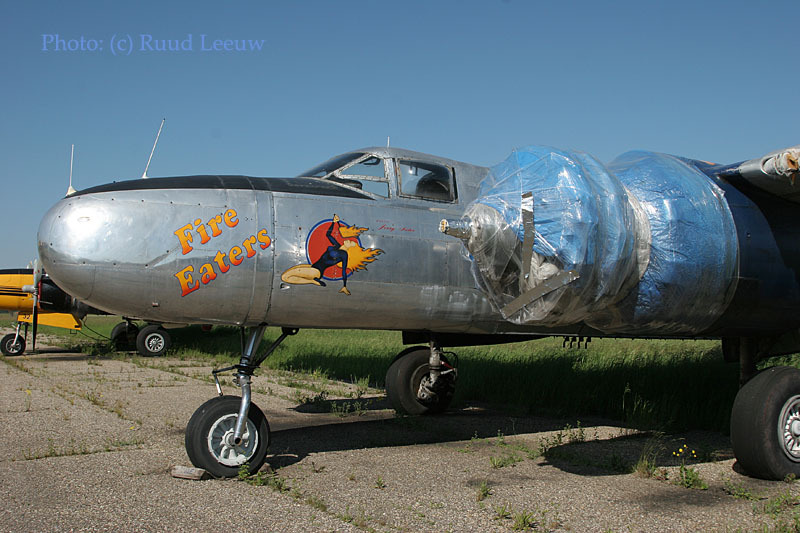 It was converted to tanker for aerial firefighting but not immediately used. Then Lynch Air Tankers (of Billings,MT) bought it in 1975, flew it as Tanker 58 , until 1992. During this time it was again converted to Lynch STOL 26 configuration, by Lynch. On 25Sep92 Jerry Slater of Seattle,WA purchased it. From there it went on to Tony N. Grout (Spanaway,WA); he owned it from 10Aug93 until 2000. During which time, May 1996, I saw it stored in Methow's hangar at Ephrata - but too boxed in to make a decent photo. Air Spray Ltd appeared on the scene (18Jan01) and took it to Red Deer; it was registered as C-GHZM, but only used as spare parts supply. Flickr has images that showed it still present during late-2015. And on Mikey McBryan's Plane Savers video (Episode 77, 19Mar19) where he walks around Red Deer, C-GHZM is still there (8mins into the video). Mikey states they (2 more Invaders parked next to 'HZM) have been sold years ago to a (former?) WestJet pilot, so no longer property of Air Spray. There's a lot more to enjoy on that video, check it out! 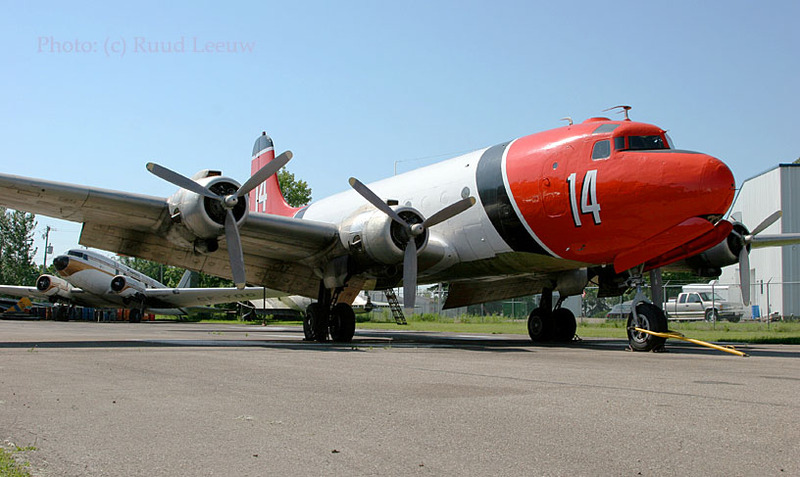 Air Spray has converted to the Lockheed L.188 Electra for its airtankers. We see here c/n 1124, its tailnumber C-GZYH applied with tape, which is fast loosing its adhesive capacity. It is also stored here at Red Deer, purchased for spare parts supply or future reconfiguration. This L.188A first flew on 19Feb60 and was delivered to American Airlines (named "Flagship Baltimore") with tailnumber N6133A. In 19 68 it was sold to VARIG, receiving tailnumber PP-VJW. 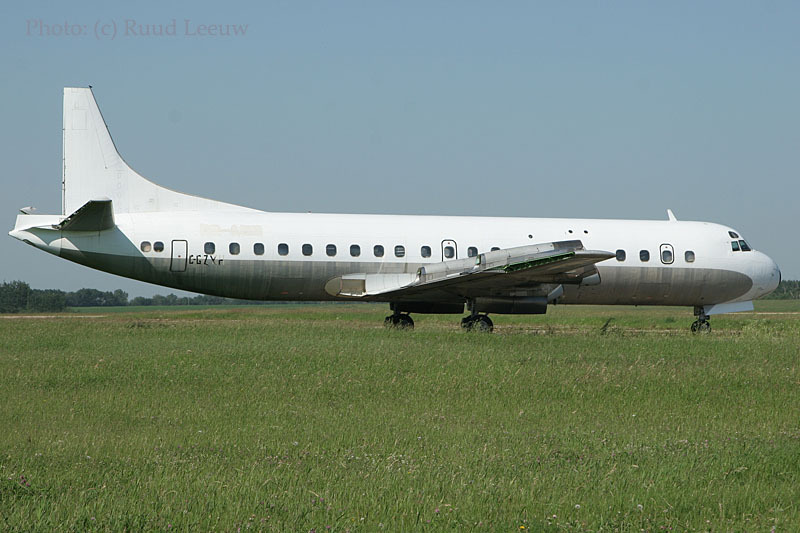 At some point it was sold again and registered HR-AMM for Commercial Link Trading and leased to Interlink of Brazzaville, but I have no further details; it was reported stored at Lanseria,S.Africa in 1995. In Nov99 J.A.M. 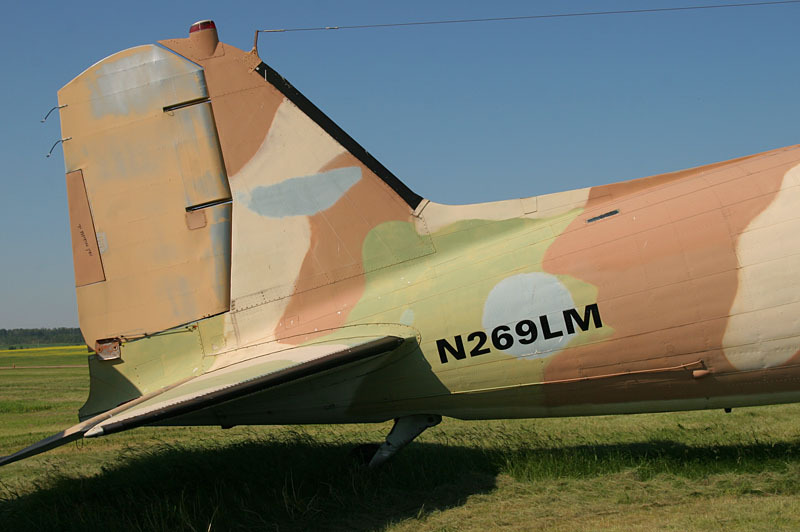 Air of Swartkop,SA bought it, but on 20Nov02 it departed from Johannesburg for Red Deer, arriving here on the 27th. Air Spray registered it C-GZYH on 25Oct02. Air Spray at Red Deer,ALB. 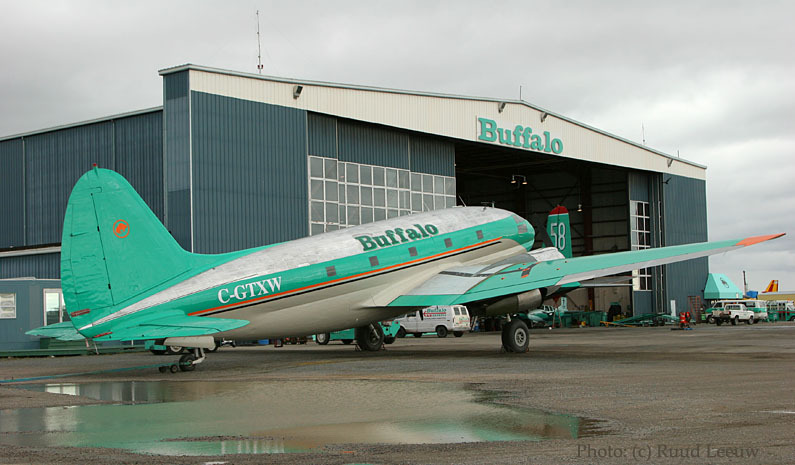 The other major company here at Red Deer Industrial Airport is Buffalo Airways, who have a large maintenance hangar here; the aircraft here are stored, awaiting maintenance or for sale. Buffalo Airways at Red Deer. This rather uncommon looking plane was the main reason for me to visit the Reynolds-Alberta Museum; this is Bristol 170 Freighter, registered C-GYQS and many years ago I had just missed it visiting Terrace,BC, off to a mine on a contract flight while operated by Hawkair. The Reynolds-Alberta Museum is located between Edmonton and Red Deer in Alberta, Canada, 65 kilometres south of Edmonton. 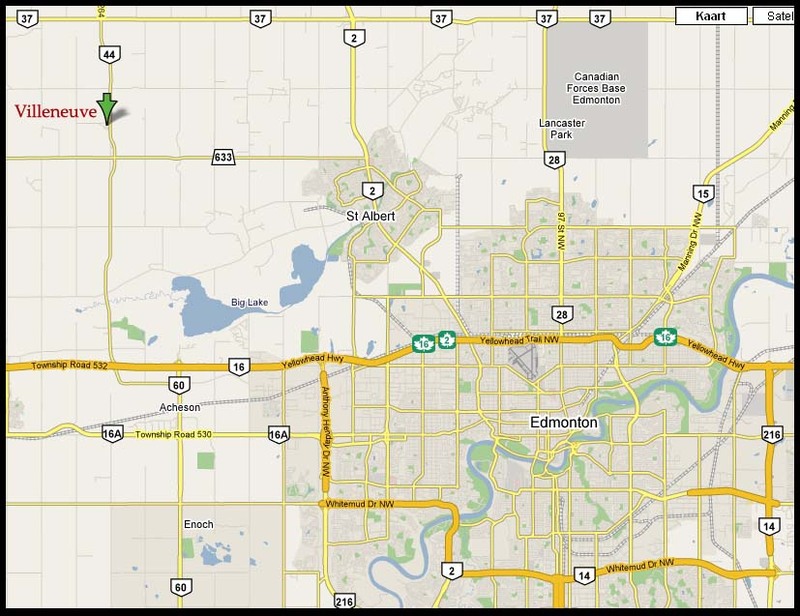 It is located off Highway 2 or 2A, one kilometre west of the city of Wetaskiwin on Highway 13, or east from Highway 2, near the Wetaskiwin airport. 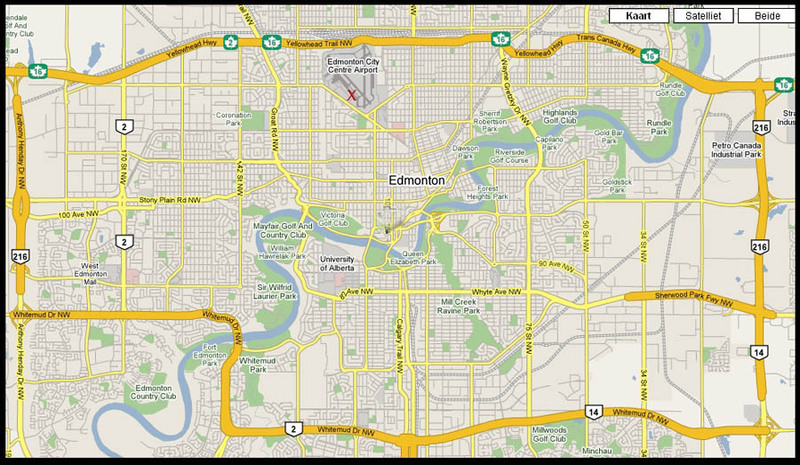 I had several targets here in the area of Edmonton; the first one was Villeneuve Airport (near St.Albert), where Global Industries have 3 former Israelian Airforce stored and for sale. As of 22Feb08, the American Aeronautical Foundation (already proud owner of a B-25J bomber and based at Camarillo,CA) became the new owner this Douglas C-47B-15-DK! It has a background serving with the 15th AF and 12th AF in Italy, from Dec1944 to Sep45. 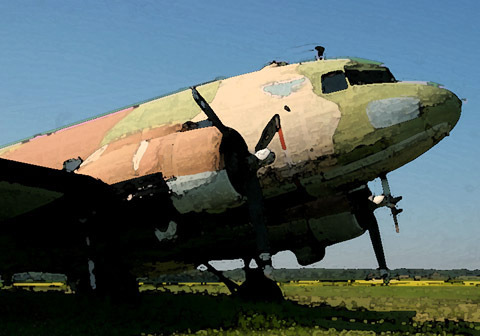 This C-47 also brought troops home to the US from the Italian front, during late-1945. The American Aeronautical Foundation obtained her original WWII records card and service records from the Smithsonian. The American Aeronautical Foundation intends to sell plane rides on it to help support the foundation and the rest of their aircraft. And indeed, on 22Sep08, it left Villeneuve for the USA!! 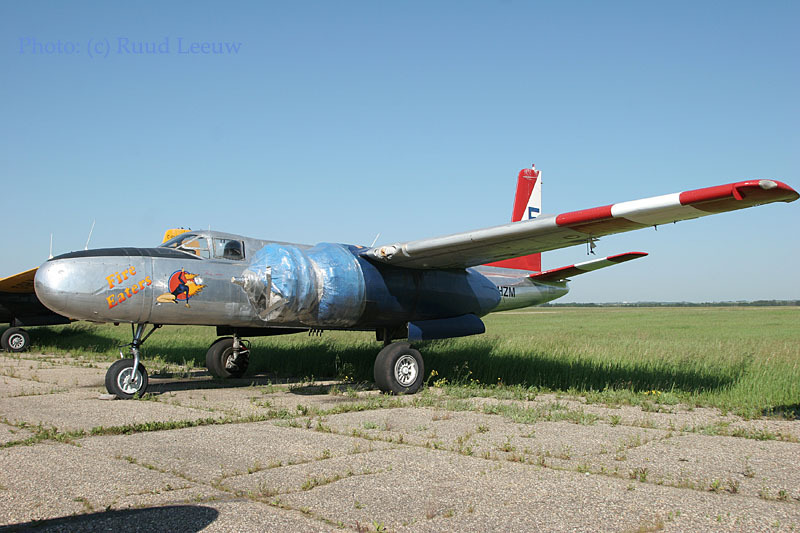 Next on the list was Westlock (located north, a one hour drive) as in aforementioned book I had read a Beech D18S C-FDSV was based there, serving the Edmonton Skydive Centre. But alas this proved to be outdated and I saw nothing of interest on this deserted airfield (being a wednesday, things may be more lively in the weekend). This link shows it gutted and stored in Chipman: www.douglasdc3.com/borek/borek.htm by 2002. So where did it go to ??? ATDB.Org has it listed as destroyed... I hope not! 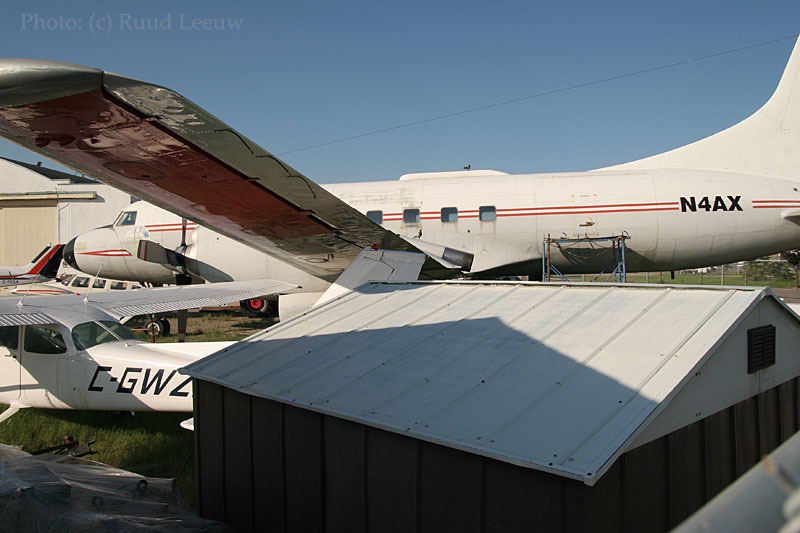 All was not lost on this 28Jun06, as I still had a visit to the Alberta Aviation Museum scheduled. 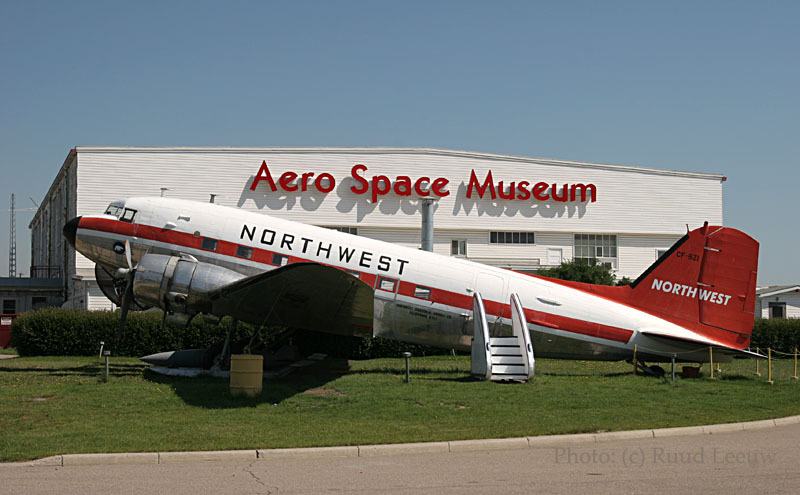 This museum is located on Edmonton Municipal Airport. I successfully fought the busy traffic to the center of town, where this Noorduyn Norseman V CF-HPY landmarked the museum. On thursday June 29th I boarded Canadian North flight 5T450 for my flight to the Arctic North.